Some of last years reds. We eat it till the end, and it never becomes dog food. Looking at that, "Yum!!!!" is a complete understatement Steve.....lol. I'd have to say it's more along the lines of: "TO DIE FOR"...!!!!!! 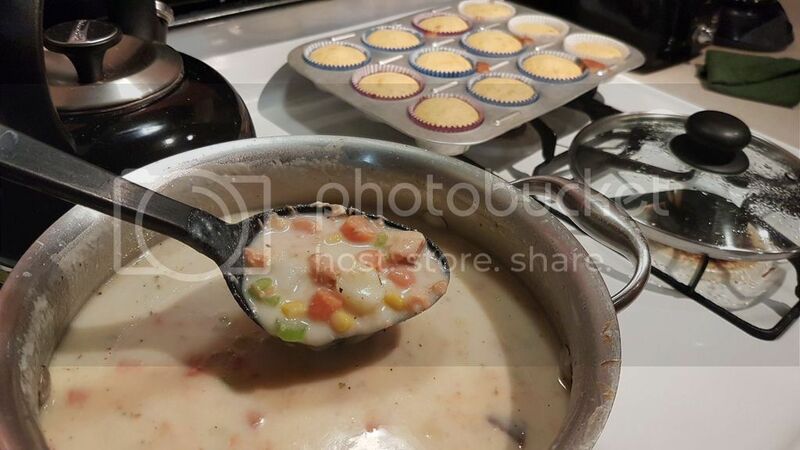 Smoked salmon chowder, cheddar-chili corn muffins...good fare after a blustery day! Grilled salmon in Thai coconut curry.